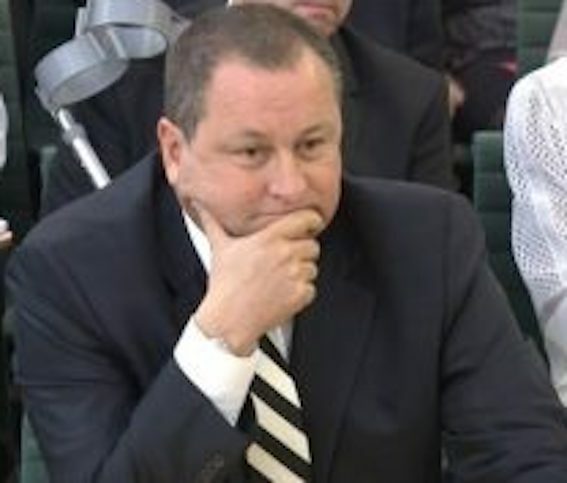 Mike Ashley, owner of Sports Direct, has released a statement to the London Stock Exchange accusing shareholders of the business of stabbing him in the back. Mike said: “Since taking on the role of CEO of the Company following the departure of Dave Forsey, I have gone above and beyond to enable a significant leap forward in order to rebuild the reputation of Sports Direct in the City, and I have worked tirelessly with Keith Hellawell in his role as Chairman to achieve this. “These achievements have been widely recognised, and it has been acknowledged by a number of independent indexes that the reputation of Sports Direct has been significantly improved. “During this time Sports Direct embarked on its elevation strategy, which has been well received, not only within the industry, but also by our customers and in the City. We have also attracted young talent to the business in order to secure our leading position for the next two decades. “Despite significant challenges within the retail sector in the UK and beyond, which have resulted in many retailers failing, Sports Direct has continued to perform well and exceed market expectations. As I stated on Wednesday, the acquisition of House of Fraser will be a game changer. I welcome its staff and suppliers into the Sports Direct family, and we look forward to building a brighter and significant future. “Despite this progress and the undoubted good performance of Sports Direct led by Keith Hellawell and myself, the Company’s shareholders appear to be affected by the pressure of the media and certain other organisations, and they have failed to support Sports Direct, Keith and myself, on this journey. “It is blatantly apparent that true entrepreneurs will never be accepted in the public arena. The media circus surrounding Sports Direct, including but not restricted to matters connected to our AGM, only proves that whatever progress Sports Direct makes, it will always be subject to disproportionate scrutiny and misrepresentation. “In light of the above, and despite the substantial progress made over the last few years, the shareholders have now made it extremely challenging for future engagement to take place. On the one hand they are delighted with our performance and progress, yet with the other hand they have stabbed Sports Direct and myself in the back by repeatedly hounding Keith Hellawell.